Home > Car Buffers, Polishers & Pads > Porter Cable 7424 XP Dual Action Orbital Polisher & Accessories > Porter Cable 7424 XP > Porter Cable 7424XP Polisher Combo Free Bonus! This exclusive special includes the Porter Cable 7424XP polisher, 3 foam pads, and McKee's 37 Fast Wax and Jeweling Wax! This exclusive Porter Cable 7424XP Special is the best value on the 7424XP polisher, three premium Lake Country foam pads, and two essential McKee's 37 products. Start smoothing and polishing your vehicle the right way with Porter Cable’s legendary orbital polisher with three 5.5 inch foam pads. The Porter Cable 7424XP dual action orbital polisher is a favorite among detailers and hobbyists for its easy operation and consistent results. 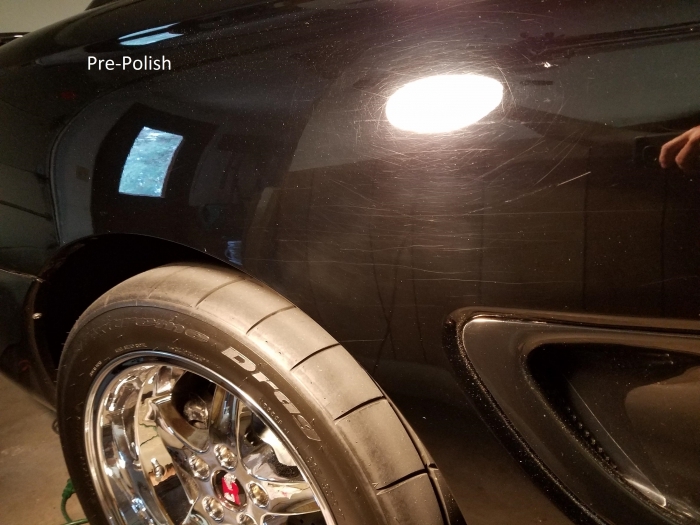 The machine’s dual motion safely blends away swirls and scratches until the entire paint finish is as smooth and shiny as the day you drove the vehicle off the car lot. It doesn’t take years of experience or special training to get fantastic results every time with the Porter Cable 7424XP polisher. This light cutting pad is designed for the removal of mild to moderate swirls and scratches and light oxidation. This is a dense, closed cell foam that effectively levels the edges of scratches until they become flush with the surrounding paint. The orange light cutting foam pad is the most popular pads for the Porter Cable 7424XP and it works on the most common paint imperfections. The Porter Cable 7424XP Special makes a perfect gift for anyone that wants to start detailing by machine. The 7424’s dual “jiggling” motion makes it virtually as safe for your vehicle as detailing by hand, but much faster and more effective. Bring out the best possible finish on your vehicle with confidence with the Porter Cable 7424XP Special. The Porter Cable 7424XP is easy to use right out of the box. Our helpful guides will help you every step of the way. Click on the titles next to the movie viewer below to view a short video on the Porter Cable 7424XP. A total retail value of $231.93. Save $51.94 off the regular retail price! I've used these Porter Cables for years now and have never had a problem with them. This kit is a good starter kit and I purchased it as a gift for my father so he no longer needs to wait for me to come over to detail his cars. ProsCost effective kit with starter pads etc. Brought a 1997 Mustang Cobra's black paint back to life with this kit. 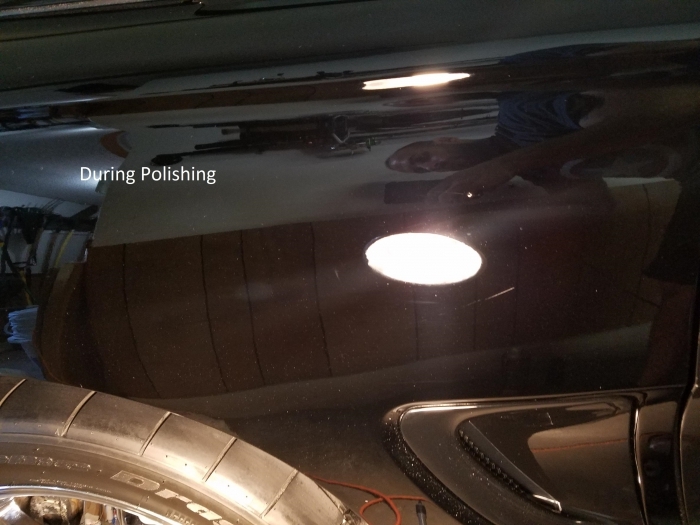 This was my first time using a DA polisher, and everything worked great. 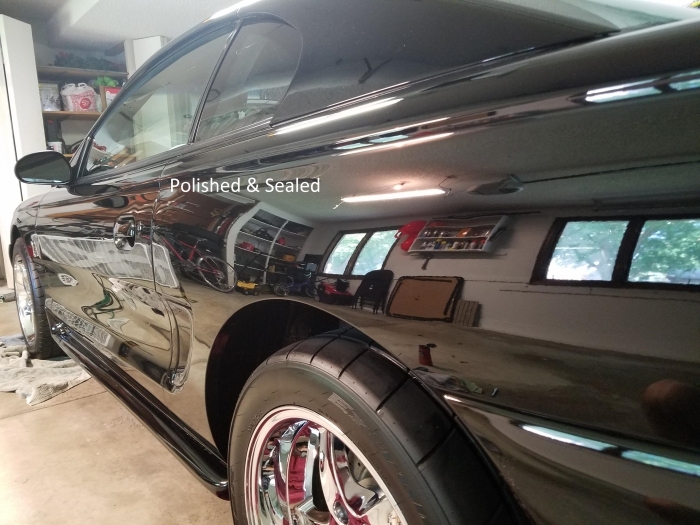 The polisher was easy to handle, the pads performed well and the polishes were easy to apply and remove. I didn't have any problems removing swirls and most light scratches in the paint. There were a few deeper scratches that really only a wet sand or repaint could fix, but this at least minimized the appearance of it. No overpowering odors from the polishes. Pretty low key. The 7424XP had enough power for what I needed it for; I never felt it bog down on me, even after pressing more firmly than I needed to. For 20-year old paint, it might not be the symbol of perfection, but it looks pretty amazing now. items are good as described , received on time and easy to use.